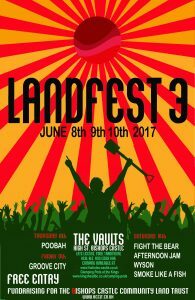 Landfest 3 is taking place on 8th, 9th and 10th June at the Vaults pub in Bishops castle. 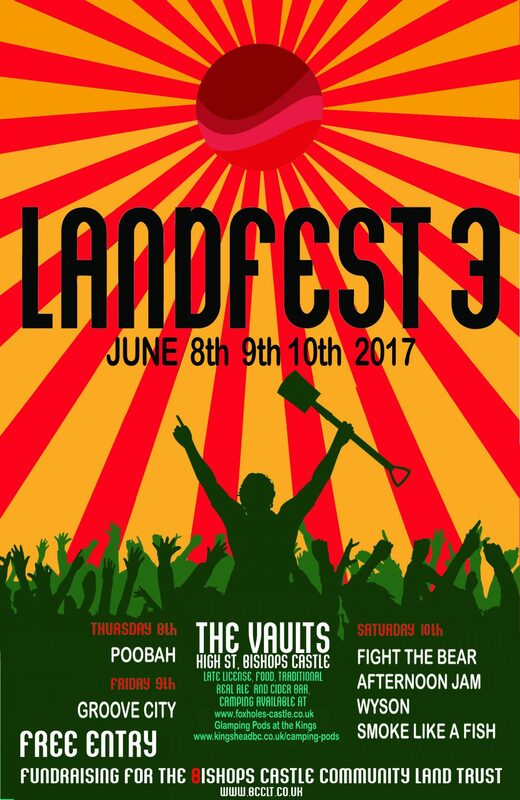 It’s a weekend of exciting music to support the CLT. Please come along and enjoy the fabulous bands that are playing. We are also looking for volunteers to sell shares, make and donate food, serve food at the event, donate alcohol suitable for us to sell as shots for donations!!! Please get in touch as soon as possible if you can help in any way.